Excellent service, low price, repair, warranty, tuning and fast world wide shipping on the latest base station 10 meter radios. On this page you will find Galaxy base stations, Ranger base stations and the new Connex Saturn base station 10 meter radio. Don't forget to add our $35 tuning. 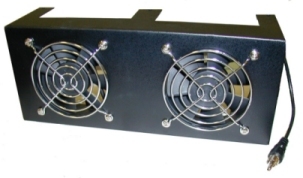 We also offer a $45 modulation upgrade on select models which includes the tuning. For the extra $10 this will make the radio output much louder and "beefier". If anyone other than GI Joe's tunes or works on your base station 10 radio that does void your warranty with us. Tuning includes aligning the receive, transmit, meters, any other necessary adjustments and a visual inspection of the radio. If you do encounter a problem you should contact GI Joe's first for help or instructions. On the Base station 10 meter radio "View Detail" pages you will find more information and tuning selections. Also there are options to make any of our mobile Cb radios or mobile 10 meter radios a base station by adding a 120Vac to 12Vdc power supply. Power supply options are listed on the "View Detail" page of the item. The smallest power supply listed is the smallest one that will run the radio. You will only need one of the larger power supplies if you plan to run more equipment with higher current (Apmerage) demands. As there are not a lot of base Cb radios and base 10 meter radios on the market the mobile with external power supply option gives you more for your money (as compared to a base radio) and a better selection of radio features to fit your needs. **ORDERING TIP: Shipping cost per item drops substantially as you as you add more items. Example: 2 mobile radios only cost $4 to $7 more to ship than one radio. Adding a mobile antenna with a radio often only ads $3 to $5 to the shipping cost. You can save some money on shipping by ordering everything you need on one order. The more you order the less shipping you pay per item. *Adj. talk back w/ on/off. Excellent service, low prices, repair, warranty, tuning and fast world wide shipping on the Ranger 2995Dx-CF base Station 10 meter Ranger radios. 100watts+, AM FM, CW, SSB (sideband), LCD frequency counter display. *2 x 2SC2290 finals in amp section. 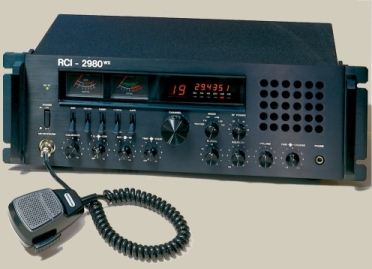 *SRA-2990CW Dual Fan Kit is now included. This comes mounted to the rear of the radio. New July 2011. 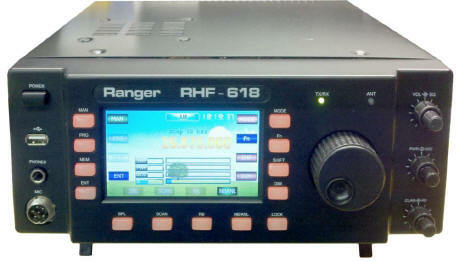 Excellent service, low prices, repair, warranty, tuning and fast world wide shipping on the Ranger RHF-618 radio. This item is discontinued in 2013. A few are still available. *Touch Screen and Soft TOUCH Panel buttons around the display. *An improved receiver: designed for increased sensitivity and image rejections. *A double FET balanced mixer: for improved receiver inter-modulation rejection. *New power supply protection: and temperature compensation for improved stability and reliability over wide temperature ranges. *Surface mount components: for increased resistance to shock and vibration. *Improved display lighting: for easy reading in a wide range of light conditions. *Variable Power Output from 25 watts to 1 watt - great for PSK-31 operation. A license to operate amateur radios may be required in your area. The end user is solely responsible for proper operation of amateur radio equipment and adhering to the rules and regulations of their country . 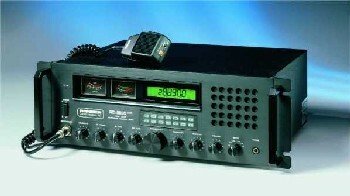 In the U.S. it is legal to purchase amateur radios and receive on amateur radio bands however an amateur radio license is required to transmit. GI Joe's asks that persons using amateur radios please respect the regulations by not transmitting on amateur radio bands without an amateur radio license. By purchasing an amateur radio from us you are agreeing not to transmit on amateur radio bands without an amateur radio license. An amateur radio license can be obtained in the U.S. by taking a relatively simple test. Morse Code is no longer required for the technician class U.S. license. You can find information on licensing at www.arrl.org.